One of the awesome things about the Instant Pot is that it cooks food perfectly and locks in the flavor. When it comes to frittatas, the Instant Pot cooks them quicker than a baked frittata and comes out perfectly every single time. I absolutely LOVE the Instant Pot. I even have two of them! Why have two Instant Pots? Glad you asked! Because it can help you get an entire meal done in no time, the prep time is minimal and the cook time is completely hands off. There’s also the bonus of making a main meal and a dessert at the same time! Yes, you can make lots of different desserts in the Instant Pot! If you don’t have an Instant Pot, I highly recommend them. They will make your life so much easier when it comes to home cooking. They truly are a game changer in the kitchen (and probably my favorite kitchen tool). Don’t have an Instant Pot or don’t know what it is? You can find them on Amazon here. Jessica and Orleatha also recorded a How to Use Your Instant Pot video that you can watch below. 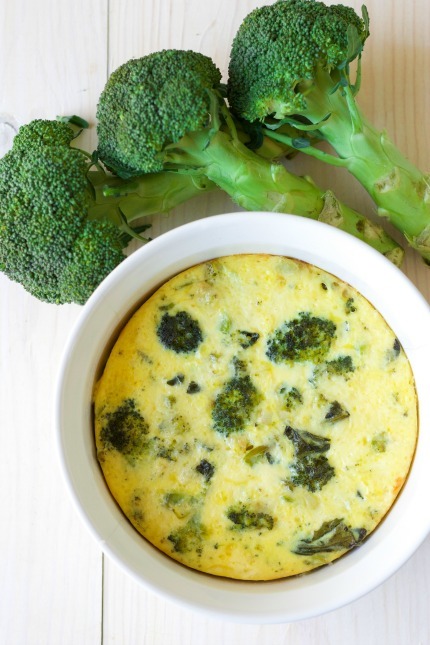 Frittatas are protein-packed and super easy to make! They’re packed with nutrient-dense eggs and filled with lots of healthy ingredients. The wonderful thing about them is they’re really so versatile and you can load them up with whatever you want. Or, you can stick to some yummy classics like bacon and broccoli. 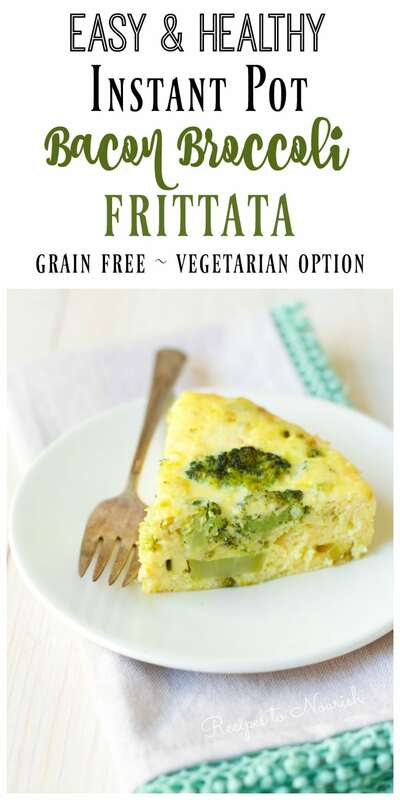 Frittatas are so wonderful for main meals, a quick snack, lunches and even breakfast on-the-go when you make it ahead of time. I love to make them the night before I want to eat it and then it’s ready for me in the morning. I have found this to be such a life saver on mornings when I have very little time. I also like to make them ahead of time so my husband can have a good meal before heading out the door. 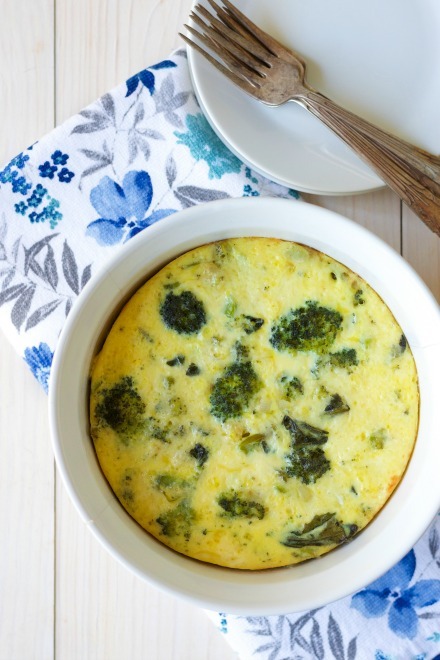 Having a protein-rich, healthy frittata already made and ready is so helpful! Bacon and broccoli are a match made in heaven! Especially when they’re in a frittata! 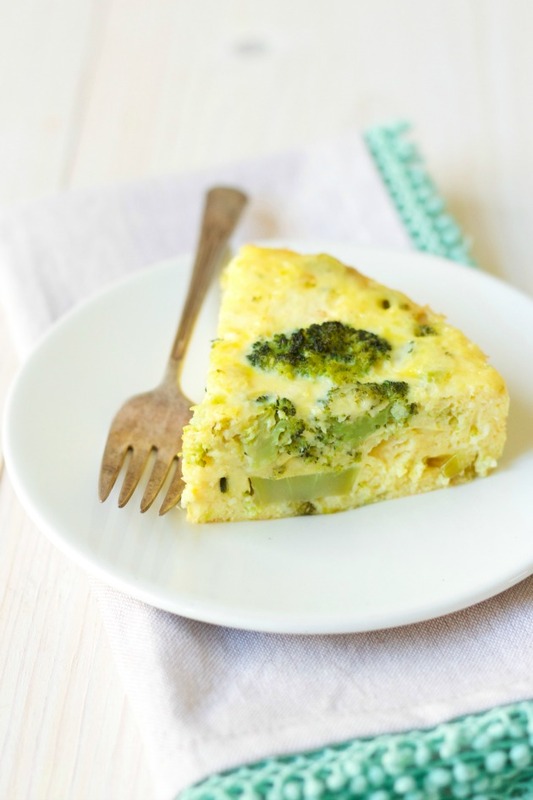 This Easy Instant Pot Bacon Broccoli Frittata is loaded with lots of flavor. 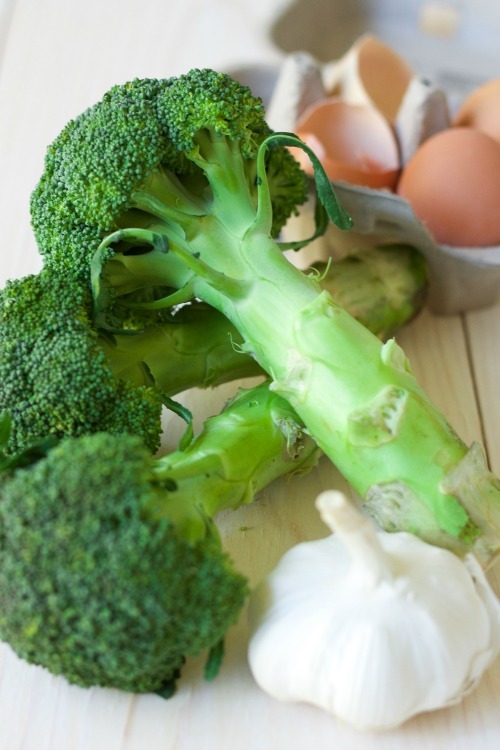 Caramelized onions and garlic, crispy bacon and refreshing broccoli, paired with beautiful herbs, zesty lemon, cheesy goodness and some protein-rich eggs. You can’t go wrong with this crazy good flavor combo! 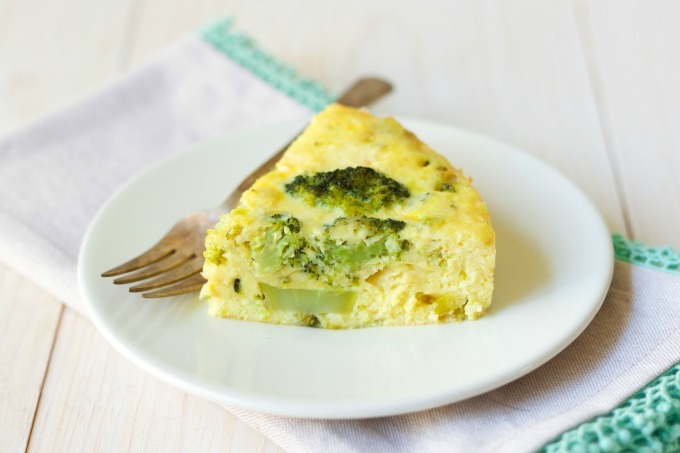 Let your Instant Pot do the work for you and make this super Easy Instant Pot Bacon Broccoli Frittata for breakfast, lunch or dinner. Add healthy fat of choice to the Instant Pot and press “Sauté”. Once the fat has melted, add the onion and garlic, sautéing for 7 minutes until lightly caramelized. Add the broccoli and sauté for another 4 minutes. Press the “Keep Warm/Cancel” button. Grease 1 ½ quart casserole dish (I use one with a glass lid) that fits inside the Instant Pot with butter, set aside. In a large mixing bowl, whisk eggs and milk together until the eggs are fully incorporated. Add the sea salt, lemon zest, parsley and thyme, gently stirring to fully combine. Add the cheddar cheese, crumbled crispy bacon and the onion-garlic-broccoli mixture, stirring to combine. Pour the mixture into a greased casserole dish. Place the glass lid on top of the casserole dish. Place the Instant Pot trivet inside the Instant Pot. Pour 1 cup of water into the Instant Pot. Carefully add the covered casserole dish to the Instant Pot on top of the trivet. Place the lid on the Instant Pot making sure the steam release valve is sealed. Press “Manual” setting and “-“ to decrease to 23 minutes. When the Instant Pot is done and beeps, press “Keep Warm/Cancel”. 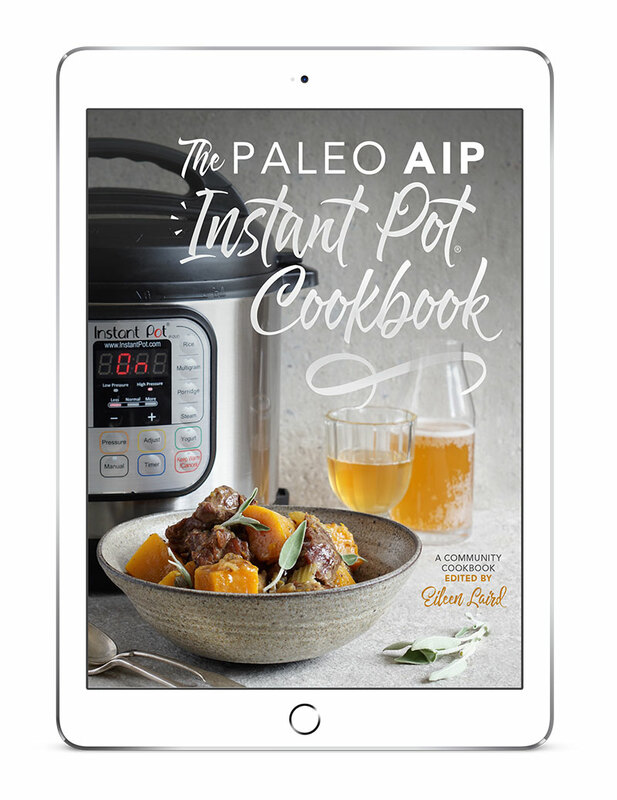 Allow the Instant Pot to naturally pressure release for 10 minutes. Using an oven mitt, “quick release”/open the steam release valve. When the steam venting stops and the silver dial drops, carefully open the lid. Carefully remove the casserole dish from the Instant Pot and remove the lid. You will need a 1 ½ quart casserole dish or a 6 cup heat-safe glass or stainless steel bowl that fits in the Instant Pot. You will also need a lid. I use a casserole dish that comes with a glass lid. If you don’t have a lid for your dish or bowl, you can place a piece of parchment paper over the top, then cover and secure it with foil. Thanks for posting this recipe! I was just wondering why you cook it in a casserole dish? Is it just to make it easier to get out at serving time?